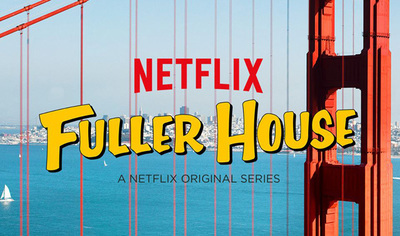 Twenty years after the popular US sitcom Full House ended, a new series called Fuller House which follows the lives of the same characters is available on Netflix. Are you watching it? If so, what do you think so far? Fuller House header. Fair Use. I do not have Netflix. My children keep telling me to get it but I really have enough with free TV as I often record movies and do not seem to get time to watch them anyway so I would not use Netflix or the like. Even if I had it I probably would not watch this one and have not heard of the original one. This is a big no for me. I loved Full House back in the day, but it really should have stayed back in the day. I would rather cut off my right arm with a rust dull saw. No, not watching this 1 either! What do you think of Jodie Whitaker as The Doctor? Master of None - Have you seen it? Absolutely Fabulous - Are you looking forward to the movie?